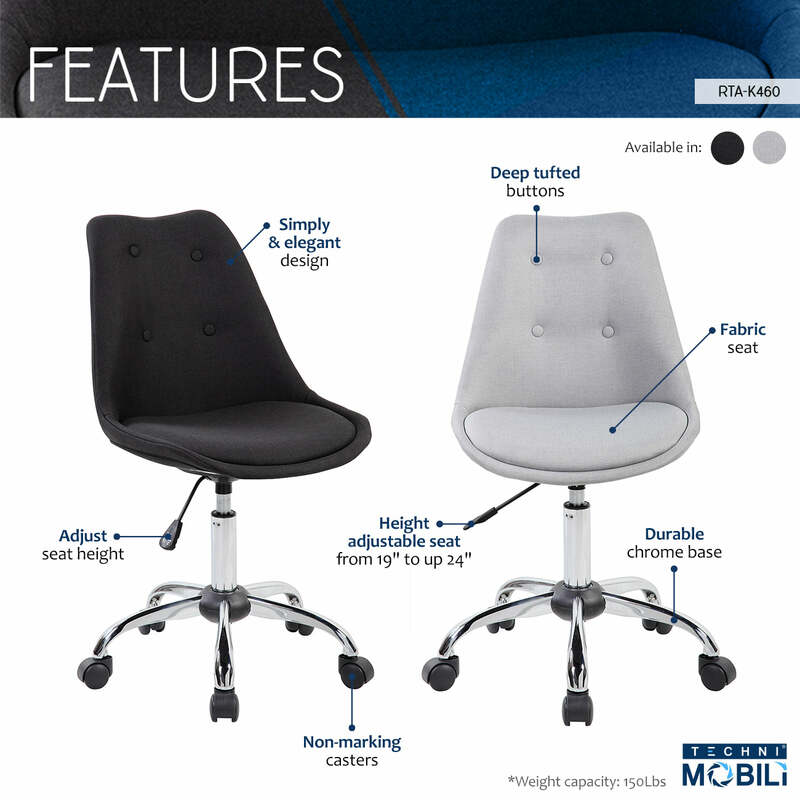 This Techni Mobili Office Task Chair is simply elegant to the eye with it's deep tufted buttons and design. It features a pneumatic seat height adjustment lever that provides a 5 inch range in seat height from 19" to up 24" high. The durable chrome base sits atop non-marking nylon casters. This chair will definitely be a great addition to any kid / teen room or office setting. Weight Capacity: 150 Lbs. Color: Black & Grey.